For my card, I am using the Photo Booth stamp set. 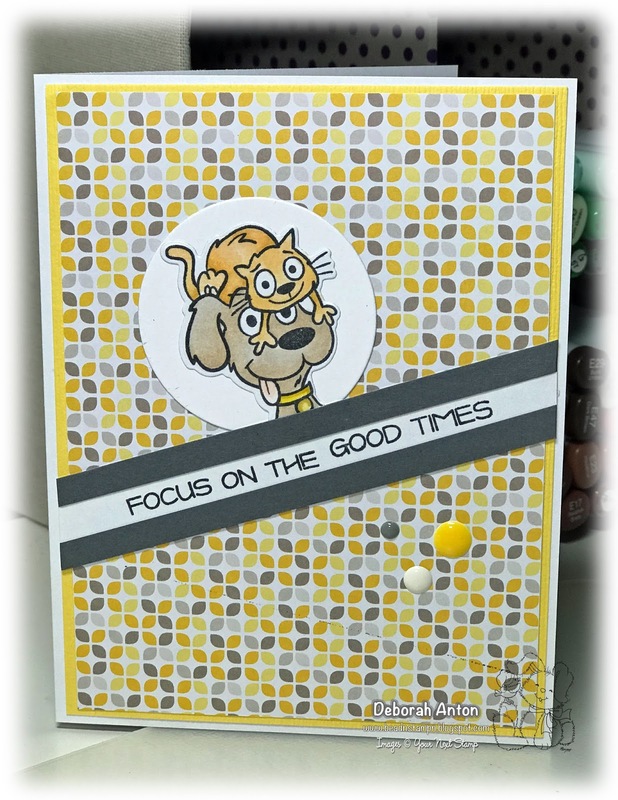 This is such a fun set perfect to make funny, punny, and unique cards with your favorite furry friend. I stamped the image and colored it in with Copics before cutting it out with the coordinating die. The patterned paper is the YNS Geometric Patterns collection. I added the diagonal strips using some gray cardstock and some white cardstock in the center before adding the sentiment in the middle. The card was finished with some gumdrops. We hope you are able to play along and link your creation the YNS Blog so that you can have a chance to win. Be sure to stop by the YNS Blog see all the challenge creations the DT put together. Thanks for stopping by and hope you have a great weekend!